SADC has pledged unwavering support to President Mnangagwa’s Government in its efforts to address the prevailing socio-economic challenges and called for the unconditional removal of sanctions. 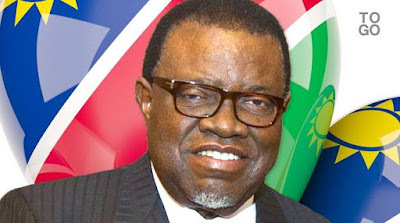 Sadc chairperson who is the President of Namibia, Dr Hage Geingob also condemned the recent opposition-led protests that rocked Harare, Bulawayo and other parts of the country leading to mass looting of shops and arson. He said the regional bloc’s Consultative Meeting of Heads of State and Government held Saturday received a briefing from President Mnangagwa on the current political and socio-economic developments in the country. “The Sadc Heads of State and Government noted that since coming to power, the new Government of Zimbabwe has continued with concerted efforts to address socio-economic challenges and transform the economy, particularly through the Zimbabwe Transitional Stabilisation Programme (2018-2020), and to consolidate unity and peace in the country. This, notwithstanding, some internal groups, in particular NGOs, supported by external forces, have continued with efforts to destabilise the country,” said Dr Geingob. “The demonstrations resulted in the destruction of property and loss of life. Sadc condemns, in the strongest terms, the violence that ensued, and expresses sympathy with the affected families for the loss of their loved ones and their properties,” he said. MDC Alliance president, Mr Nelson Chamisa, boycotted the meeting. He, however, turned up at a national leadership breakfast prayer meeting that was convened by the Zimbabwe Council of Churches (ZCC). Mr Chamisa said his party was committed to dialogue, but appeared to narrow the scope of the exercise to talks between him and President Mnangagwa, against the spirit of inclusiveness. In a speech read on his behalf by Zanu-PF chairwoman, Cde Oppah Muchinguri-Kashiri, who is also Defence and War Veterans’ Affairs Minister, the President reiterated his call for national dialogue.